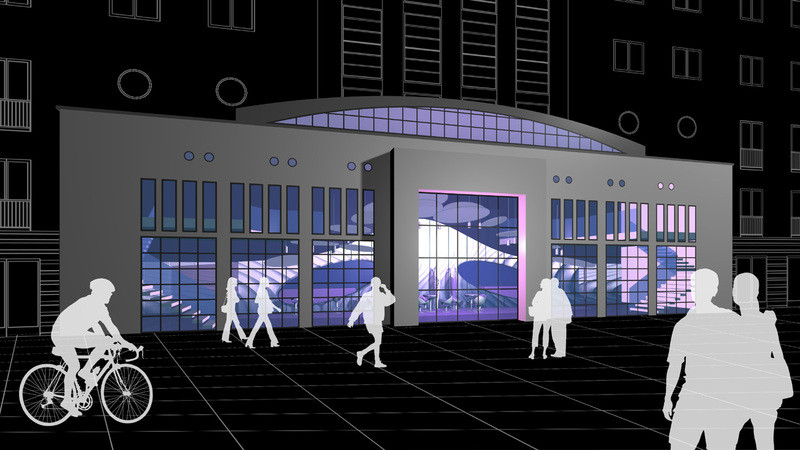 The project includes the total restructuring of a multi-purpose cultural space. 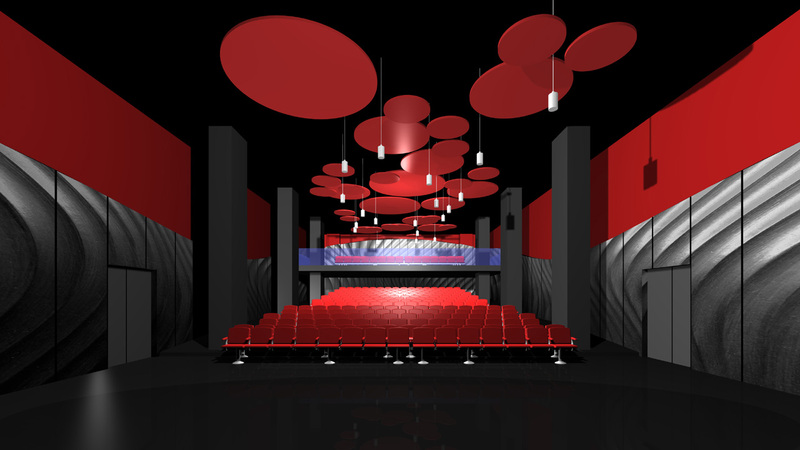 The double-height entrance lobby houses the theatre’s box office, coffee bar and cloakroom. 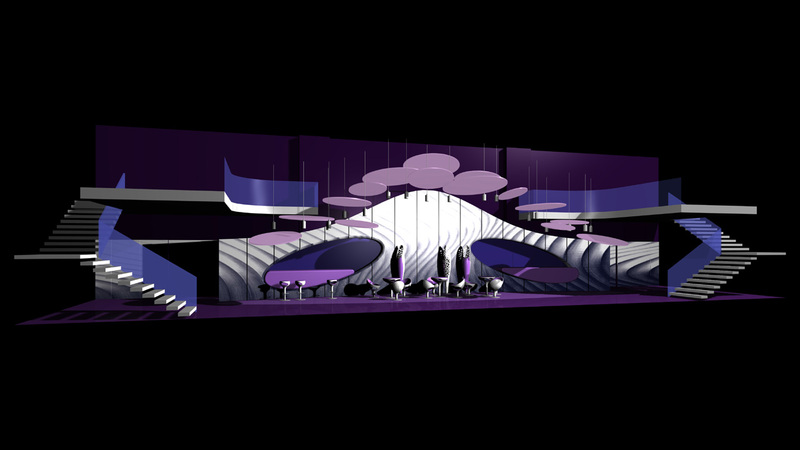 The end wall is lined, like a large wave, by shaped panels made from MDF that has been carved in glossy white, the floor is in purple resin and a number of luminous disks hang suspended from the ceiling. The soft and well thought-out furnishings and the colour-changing RGB effect lighting give the entrance lobby an elegant and sophisticated appearance. 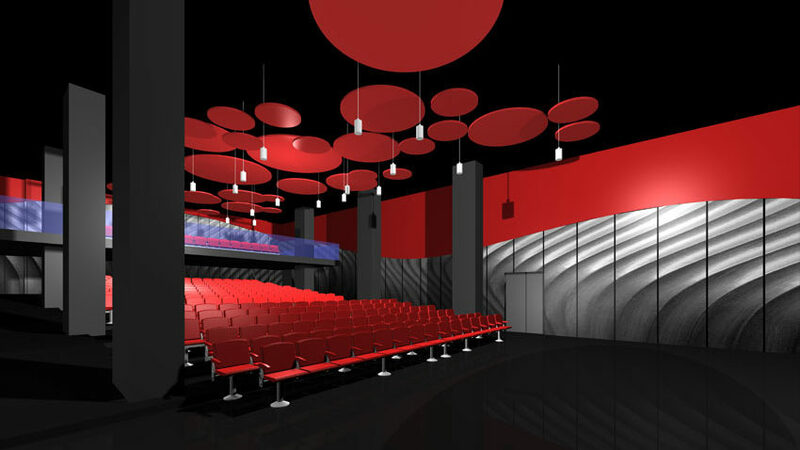 Inside, the 320-seat auditorium is characterised by the red seating and hanging sound-absorbing discs, and by the large wave of shaped panels made from MDF that has been carved in glossy black and that envelopes the walls.